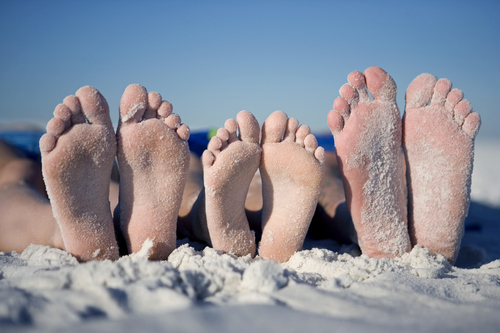 With the average person set to walk up to 920,000 steps this summer, foot specialist TOG, is calling for us all to put our best foot forward with its Top Ten Tips for Tip Top Toes. Dr. Paul Barratt, Medical Director for TOG Orthotics, says: “In summer we tend to see an increase of people visiting their doctors or pharmacists with foot complaints. It’s not that summer is a particularly dangerous season but because the feet are usually an afterthought: people don’t tend to focus on them until they want to get them out on display.